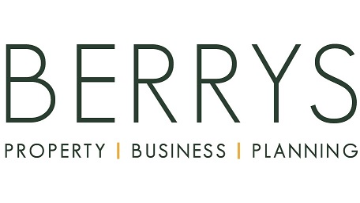 The Berrys Business team provides a contemporary advisory service dedicated to adding value to rural businesses by assisting stakeholders with focussed goals and strict financial governance. An exciting new opportunity exists for an experienced, ambitious and progressive Business Consultant, focussing primarily on the Agricultural sector, to join us working from our Shrewsbury office serving clients in Shropshire, Herefordshire, Cheshire and the Welsh Borders. This is an exciting opportunity to work in a team with a wealth of experience and offers excellent long term career prospects, continued training and support and a competitive salary and benefits package. Salary: Competitive salary, dependent upon experience, plus participation in Berrys discretionary Performance Related Profit Sharing scheme. Healthcare Scheme: Inclusion in health cashplan following successful probation period. Optional voluntary Private Healthcare Scheme on a contributory basis. Holiday: Entitlement of 20 days per annum plus 3 to be taken between Christmas and New Year, and the Public/Bank holiday entitlement of 8 days per year, plus an extra day off on your birthday. An additional day accrues for every 5 years of service.